No.42’s latest exhibition runs until Saturday 23 December, tying up what has been a wonderful year so far. The Winter Exhibition has attracted double the usual number of submissions, with 42 artworks selected to go on display. 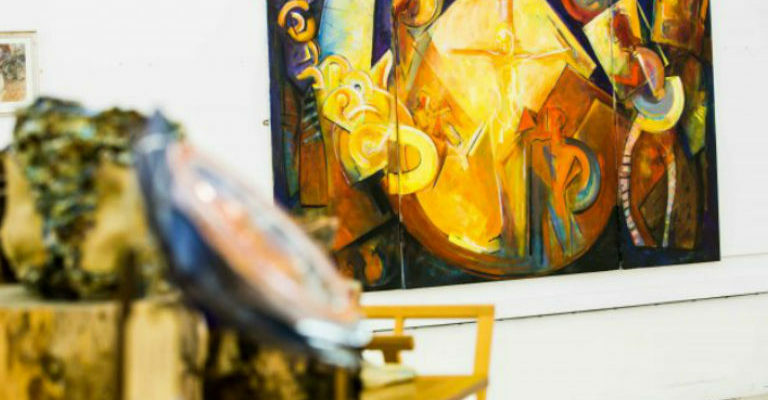 In total 19 artists from across County Durham have contributed vast and vibrant oil paintings, delicate watercolours and sumptuous textile work to create the gallery’s largest exhibition to date.